Hi Sudha… A much needed post. I would also like to bring out how these stores impact manufacturers. Not every product sold by walmart or target comes from big industries. Most fo the food products, toys, clothes etc are manufactured by small cottage industries and micro enterprises. most of these big “cost” saving stores have tie-ups with manufacturers. 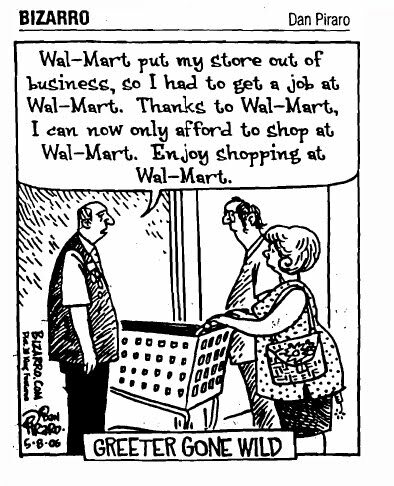 Selling to big customers like wal-mart would ensure the product gets to a wider clientele and a year-round demand. In turn, the big stores get to buy products at a lower rate. The problem arises when they insist that the manufacturer sell to none except them. 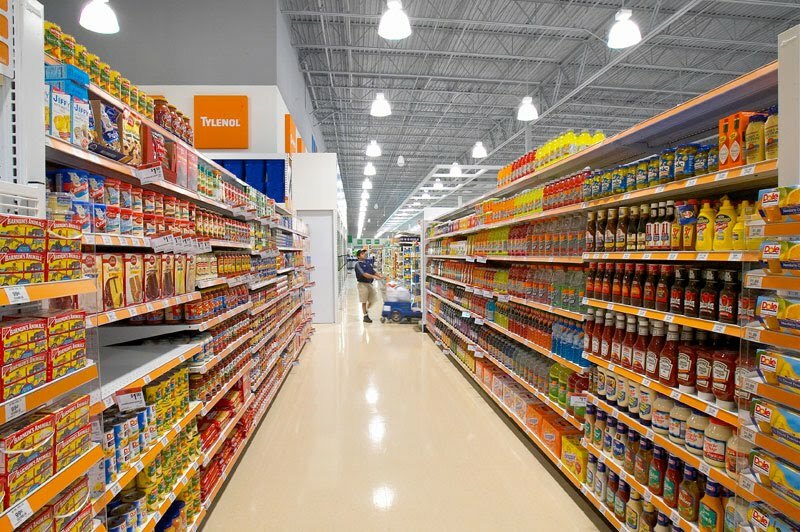 This will weed out competition for the big store… but the poor manufacturer, after a period of time will be dependent on only the big store and will have to agree to lower rates, which means lesser profits. By then, he will not ahve any small stores or other competitiors to sell to… leaving him with no option but to either sell at ridiculously lower price or close down business. This is especially true of cottage industriees like pickle/sauce manufacturers, etc. What kidn of justice is it when the manufacturer's (who designs, produces the product) profit is a fraction of the sellers? thank you for the comment. I was all set to post my article on Indian Retail industry and the changing scene, all for the worst ….:(. Lots needs to be done…we could start with reverting to minimal living and altering consumer behaviour. You have amazing perseverence :-). You work tirelessly on creating awareness on every aspect. Hi brother, i liked your post! I would like to share some of my work with you, and i hope you will like my work as well!